Reached an age that should induce anyone to be cautious (I will write 100 years at the end of September 2043), I discover that I am an aspiring martyr to lynching by a respectable good public opinion. Inspired by the episode of hazing that in the School of Flight of Latina saw a pilot student in the role of victim (first tolerant and then complainant, not without having recited on a previous occasion an active part against another comrade in turn nonnized), I venture into the exposure of some points of view ignored in the general defense of shields without ifs and buts against all forms of hazing. It would not hurt to ask in advance how come are most of the young protagonists of the hazing to want to preserve and guarantee the tradition? Given that I am of the opinion that a subject prone to violence does not need the alibi of hazing to exercise it but is led to practice it regardless, I remember that the hazing has its roots in ancestral initiation rites, sometimes bloody, practiced by many peoples to sanction the passage of young people in the clan of adults and later in that of warriors. With the passing of time there have remained symbolic and playful aspects; typical water balloon and launch in the pool / pool. The opportunities to practice these rites go from obtaining a degree in universities to the entry of a new member into an exclusive club. But it is especially in the military environment, and especially in the training schools and in our elite units, not forgetting the US marines and the green British caps, that the so-called "hazing" is hard to die. A question that opens up vast fields of inquiry is: what hidden aim is the act of hazing and what fruit does it produce in reality? "... distinguishes a future general deputy commander of the Guardia di Finanza who rages against a magistrate in pectore stuck to the ground in a plastic grappling of Greco-Roman struggle.They can also identify a future quaestor who strikes a notary with a head in the stomach and a Bersaglieri general in the act of hurling himself against an engineer In the foreground, instead, a future editor, Vittorio Viggiano, (the one who 40 years later would have printed the book above) punches the back of an aspiring lawyer who tries to protect himself with his arms ". At this point a further series of questions arises: how come such a practice of violence did not prevent those young students from becoming fully exemplary citizens and prestigious professionals? Second question: how come those actors of an objectively excessive non-historical beating have established and preserved until the current year of Lord 2019 fraternal bonds of friendship, granitic spirit of body and camaraderie at full trial? (and who knows us at Nunziatella knows what I say). Another question: how come that event was not only tolerated but accepted by the institute's cadres, starting with Commander Colonnello Franco Magnani? Who was he? It was an Alpine Gold Medal for military valor that (I quote from the book) "had made the African campaigns from 1930 to 1937, those of Albania and Greece in 1939-40, who had lived the tragedy of the Armir in the 1942 and in the 1943 and that he had survived twelve years of captivity in Russia, from where he had returned in January of the 1954. Who more than he was entitled to see every problem, big or small, in the right perspective and place it in a proper size? ". When this Commander, for us pupils, a living legend, was informed about the "tradition" of the 18 November, he limited himself to sending us a message: "I want you not to exaggerate", which meant "no fractures or injuries". End of the drama. A drama that strangely never triggered protest from family members (average age 17 years). In practice, the parents of the time were of the idea that their offspring alone had to overcome those trials of life. Perhaps parents of a particular pasta of which (unfortunately or fortunately?) The recipe has been lost. Today an avalanche of complaints would make the fortune of a crowd of lawyers and force an army of magistrates to overwork. 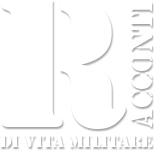 But we must consider that the motto of the Nunziatella was and is "Prepare for life and weapons", while today we prefer the military slogan "Preparing for life and interventions in civil protection, the rescue and reception of migrants, the bitumazione of roads and the competition to law enforcement, even if in a soft version", as demonstrated the television images of the two Alpine men who in the Piazza della Stazione in Milan witnessed impassive stoning by a group of Nigerian drug dealers against some journalists who wanted to document their noble activity. This policy is due to the fact that we live in the certainty that we will no longer have wars, but ... if not? If a nation that is militarily fragile and unbelievable provokes unhealthy economic appetites and not in someone looking for "just revenge"? In that case what to do besides involving the newborn union? I conclude my masochistic search for lynching with a consideration: at work I would prefer to have as a collaborator a subject that has passed without a whining proof of a partridge rather than one who faced this drama "ran from mom and dad". In a more purely military context, instead of operations, I would try to free myself as soon as possible of a poor sort of hazing, paying attention to a heretical little voice that somewhere in my mind implies that, within certain limits, hazing could represent a modest soldier added value instead of a bubonic plague marked diociscampieliberi. As a grandfather, I can not conclude without the ritual recommendation: eye boys, because today they are brought into the hands of hazing and can take them criminally; for this reason, if you really can not do without "I want you not to exaggerate". And now ahead with lynching! Patience if for comparing a recent past with a demoralizing present I expect to be accused of incitement to commit crimes. It comforts me to feel in the company of a man of the caliber of Franco Magnani.